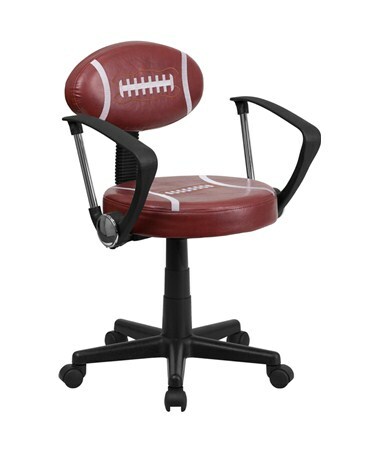 The Flash Furniture Football Task Chair with Arms BT-6181-FOOT-A-GG lets you show your love for football with its football-shaped back and easy-clean vinyl upholstery in red and white. 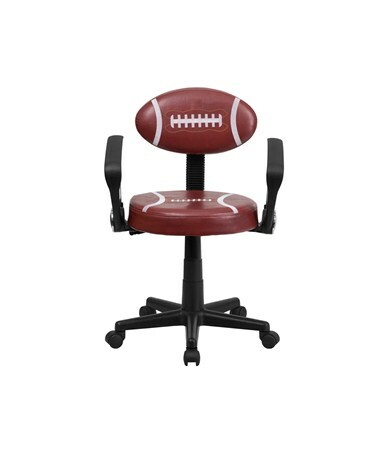 This whimsical desk chair would be perfect for a child or teen's room or any sports-lover's den. 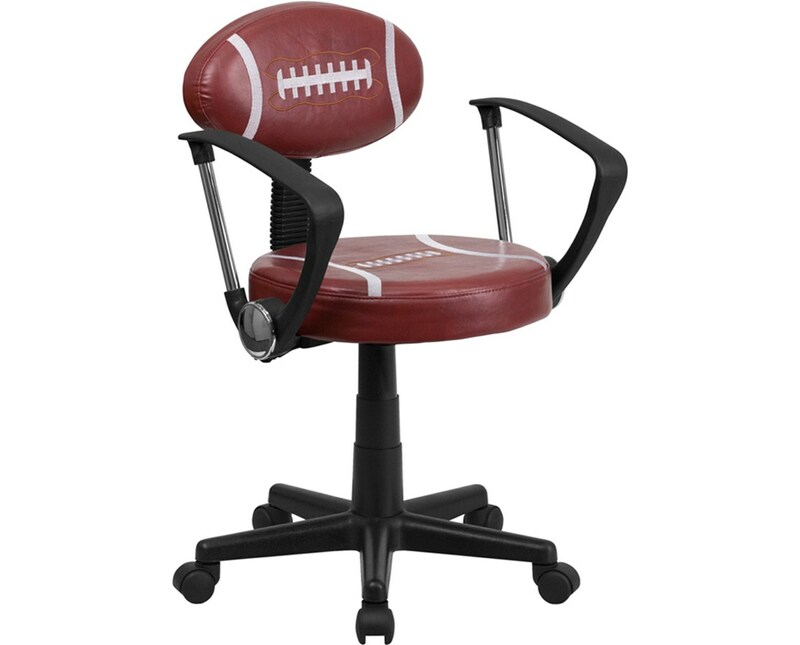 The backrest is 16”W x 13½”H; the round foam seat cushion is 17½”L x 16”W. 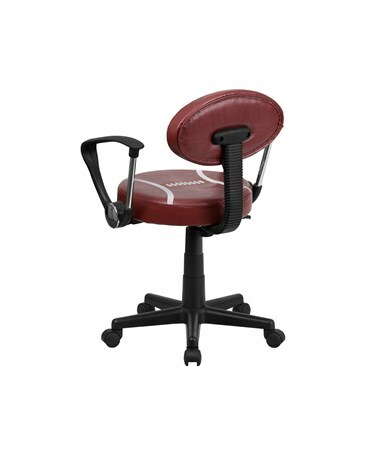 Fixed black polyurethane armrests support your arms. 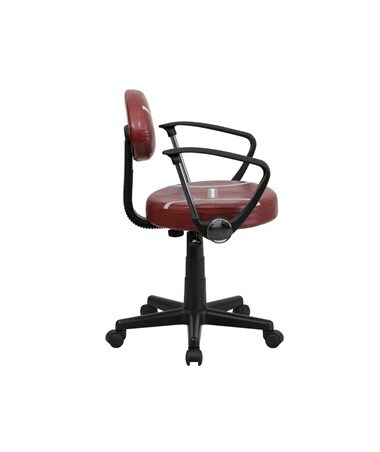 This adjustable chair has pneumatic seat height control form 17” to 21½”. The black nylon 5-star base has swiveling wheels. Some assembly is required.